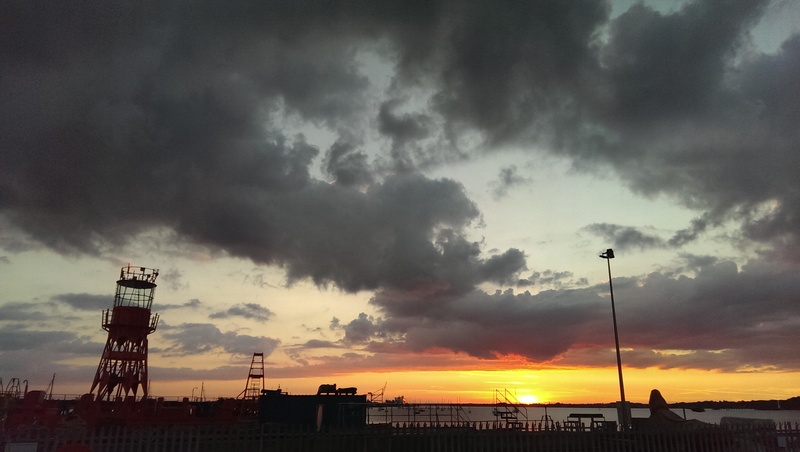 Several small groups of people had gathered on The Quay in Harwich to view the sunset. The light ship and some of the buoys at Trinity Wharf made for great silhouettes against the glowing orange sky, which itself was strewn with some lovely grey clouds. There was a great sense of togetherness between the strangers as we watched the great orange ball of plasma dip below the horizon, to mark the passing of another glorious summer’s day. I know this website is about sound, but this is a stunning photograph.